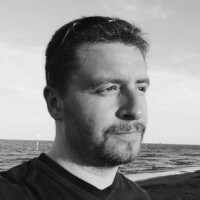 I am a web developer from Italy, skilled in a wide set of web development competencies, driven by passion for coding and building useful web things for businesses. Proficient in all stages of web development, from brainstorm ideas to the final product deployment, I've worked for several companies touching a lot of different industry scenarios, focusing on client goals and values as a primary objective. As a former advertising agency owner I understand the need to develop solutions made to allow for profit, productivity and performance of investments. Always curious about new apps and technologies, I enjoy learning new skills and develop modern websites and applications, striving to modernize legacy code and apply modern coding techniques. Forward-thinkerer, I can adapt to changing situations and can manage stressful time while maintaining focus on the tasks. I am not worried by challenges and I do not fear defeats, as they are lessons to learn to be better the next time, although I don't like taking risks without careful planning in advance. CSS layout styling with Bootstrap, Foundation and similar libraries. Do you want some examples of my work? Please contact me at marco@macodev.com, I will provide additional info about my recent work. I am a husband and a father. When I do not play soap bubbles with my daughter I like reading novels, or programming books (hey, after all it's a passion!). I like playing Dungeons & Dragons (beer and chips included) with my lifetime friends. I am a fan of Ferrari and Formula 1 racing. I love skiing around the Alps in winter. I write coding tips and other nerdy things on Twitter. Get a glimpse of my dev career on Linkedin. Want to contact me for more info? Please send an email to marco@macodev.com.